Jay's Guest House provides an authentic, rustic Jamaican experience for visitors. An ideal town house in the Blue Mountains within close proximity of the peak trail. Free WIFI is available throughout the property. Its quite a rustic setting with modern amenities. The bathroom is detached from the house but works perfectly and is always clean. We are located near to the Blue Mountains National Park, one of the most spectacular natural wonders of Jamaica. 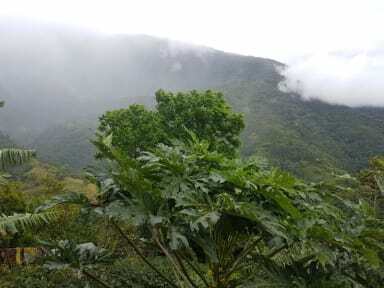 From our facilities you can reach easily the park itself as well as other interesting tourist attractions of the area such as Blue Mountain Peak and Blue Mountain Big Level. 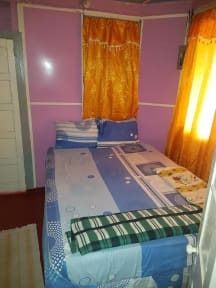 We have two private rooms with queen size beds and a dorm with six beds. Dinner is served at the guest house for a small cost per person while breakfast is free. Coffee from our farms can be organized too. A bar is located on the property and sancks and other beverages can also be purchased there. Cool reggae music can be heard in the evenings on the terrace. It is quite a decent setting in the middle of the mountains. Check in from 12:00 to 18:00 . We loved our stay with Jay's. It had a great location close to the peak and a beautiful view over the mountains. Jay is really helpful and we had some great conversations with him. Would definitely recommend!